July 29 is the last day up to which Windows 10 will remain completely free for everyone upgrading from Windows 7 or 8/8.1. After that, all those wanting to upgrade would be required to pay a hefty price for the licence key to activate their copy of the OS. Since this is the last version of Windows, as told by Microsoft themselves, it is obvious that one day or the other, most of you will have to upgrade to it. If you are still rocking Windows 7 or 8/8.1 on your PC, it’s definitely the time for an upgrade. This is because as Windows 7 and 8/8.1 approach their EOL the hardware, software and driver support will become less ubiquitous. Now, I know, that most of you are not keen on the forced updates, LOADS OF BUGS and Errors present in Windows 10 and that’s why you do not want an upgrade. But, as mentioned before, in the future, you will have no choice. 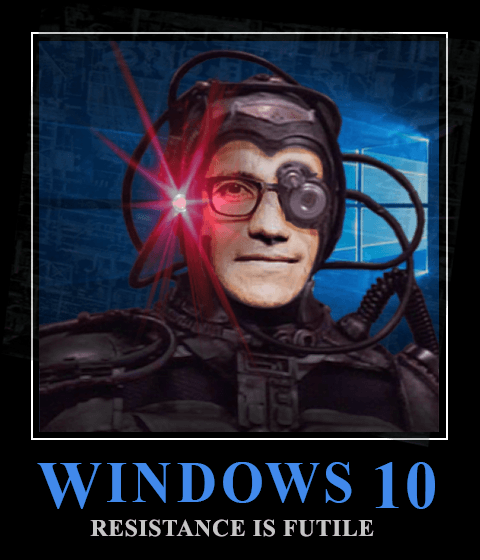 So, in this post, I’ll be discussing a method of getting free Windows 10 even after June 29, 2016. An empty USB thumb drive (16+GB). After downloading all three utilities from the above links, we will now discuss the step by step procedure to activate a copy of Windows 10 for future use. Install ProduKey and open it. It will show you the licence key used to activate the copy of Windows that you are running on your PC. It will look something like shown in the picture below. Make a note of this Product key preferably on a paper or on your phone. Insert the USB drive in the PC and open the Universal-USB-Installer. In the main window, select I agree. In Step 1, select Windows 10 installer from the drop down list. In Step 2, head over to the location where you downloaded the latest Windows 10 ISO file and click Open. In Step 3, select, the USB thumb drive from which you will boot the OS. Sometimes, you’ll have to check the Show all Drives (USE WITH CAUTION) box to make your USB drive show up in the drop-down list. Click on Create. Now wait for a few minutes. Depending on the speed of your PC and USB drive, it will take some time. Let the USB drive remain inserted in the PC and reboot your PC. In the BIOS/ UEFI screen select to Boot from USB drive. After Windows setup loads, let the Language and Keyboard layout remain as default. Click Next. Now press Shift + F10 Key on the keyboard to open the command prompt. Type the following commands one after other (without quotes). Select Custom install and select the virtual disk that we created just now using the commands above. Use your Windows 7/8/8.1 keys to activate the OS. After this is done, restart your PC. You will notice that before booting up, the both Windows 7/8/8.1 and Windows 10 show up for booting. Select the windows OS that you had originally and not Windows 10. In the System Configuration window, click on the Boot tab. Select Windows 10 and click on the Delete button. This is it. Now your PC is ready for any future upgrade to Windows 10. And, now you will be able to get a free upgrade to Windows 10 even after 29 June 2016. If you make up your mind to upgrade in the future, you will not have to buy the OS licence key because you have already applied it to your machine. If you face any problem using this method, please head over to the comments section and let us know your problems. Let us know how this works.